The seventh and last of the cameras I brought back from my Dad's was another one that caught my wife's eye: the SX-70 Land camera by Polaroid. Manufactured between 1972 and 1981, this model with chrome and leather trim was sold to higher end markets. This model has a number of interesting things. First, its form factor. It collapses down into a relatively thin package and pops up easily (once you figure out the technique), ready to make pictures. Second, due to the folding and the fact that it's a SLR, the light path has to go through some odd shaped lenses in order to provide a proper image to both the view finder and film. Next, the disposable flash bars had logic circuits in them to determine which bulbs were used and which one to flash next. Finally, the film pack included a 6-volt battery to power both camera and flash. This ensured power was always available whenever there was film in it. Later variations of this design introduced in the mid-70's allowed the price to drop, being made out of cheaper materials and with more features. Film chemistry was improved over the life of the product and by the late 70's, this format was the top selling film in the United States. Open Source Hardware is an interesting movement to watch today. Sort of like Open Source Software groups that publish all their source code, there are companies that publish all the source documents for making their products. The idea is to allow more innovation, providing a means for customers to easily understand and modify their technology. 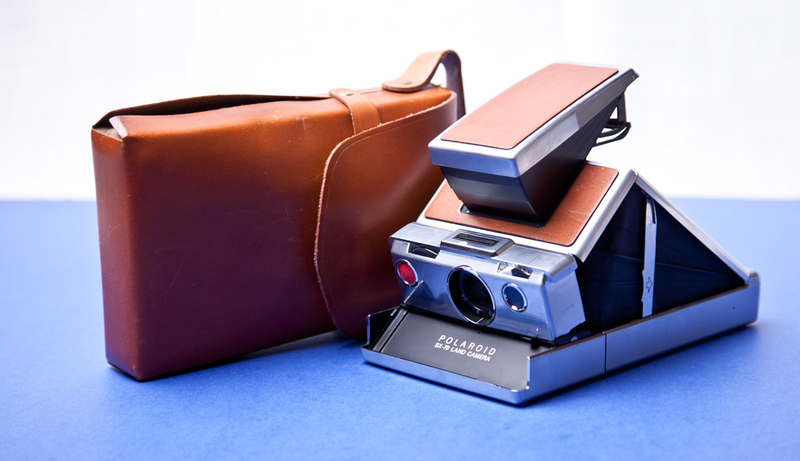 Polaroid, while not opening up to this degree, was a fore-runner of this concept by selling two kits for hobbyists to incorporate their technology. One was their sonar kit for measuring distance that they developed for the OneShot camera, a descendant of the one pictured above. The other kit allowed people to use the flat, high-current 6-volt battery in their own projects. That's it for this series. If you want to see other articles about the cameras I recently acquired, the introduction to this series has an index.